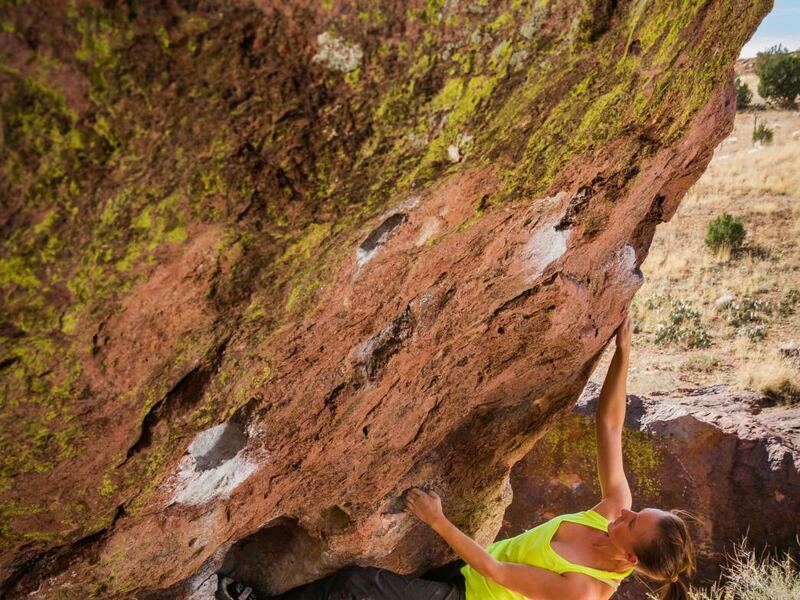 Whether you're living the dirtbag life or you're looking for a weeklong escape to crank out some problems, New Mexico has top-notch bouldering to offer. 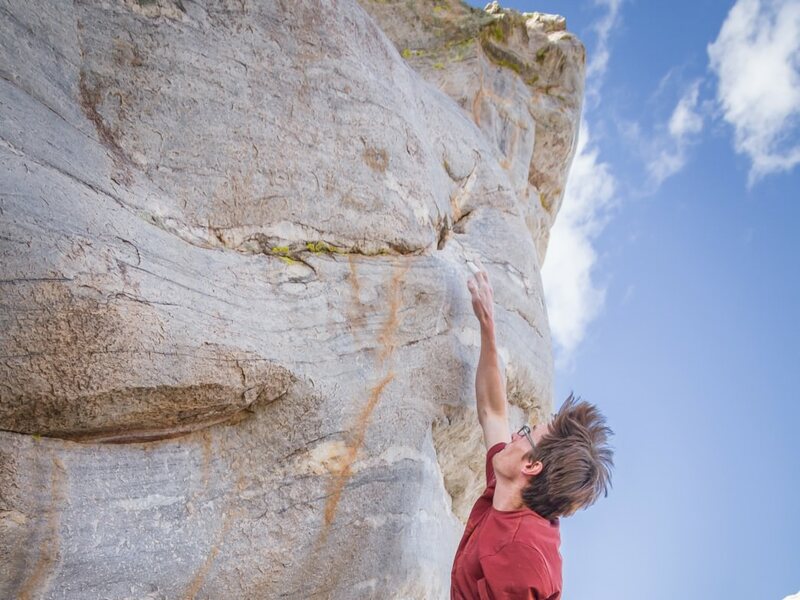 For decades, most of the bouldering areas in the state had been passed along by word of mouth, but this spring, local climber Owen Summerscales published the first New Mexico bouldering book in history. He spent years talking with locals, driving around the state, and exploring where climbers go. We asked him for his recommendations on the best places to scout out problems in the Land of Enchantment. Here are five of his favorite spots. Box Canyon is home to steep volcanic bouldering outside of Socorro, NM. The area calls for a gymnastic style of climbing, says Summerscales. The best part? The warm climate makes the spot nearly weatherproof—even in the winter, and its close proximity to Albuquerque means easy access to restaurants and bars after you've worked up an appetite. Where to camp: There are about five campsites available right where the bouldering takes place, but many locals prefer to stay in one of the 12 sites at Water Canyon Campground, located about 10 miles west of Box Canyon. Water Canyon features fire pits, grills, vault bathrooms, and a handful of tent pads. Where to explore: The Cibola National Forest offers easy hikes with expansive views. Hike any number of peaks, including North Baldy, South Baldy, Timber Peak, and Buck Peak. If you get tired of campfire meals, grab some Mexican food at La Pasadita Cafe in Socorro. This quartzite boulder outcrop is just outside of the village of La Madera, NM, and according to Summerscales, it boasts the best rock quality of any stone in the state. Bonus: "The the views aren't bad either," he says. Where to camp: Located 18 miles north of the village is Tres Piedras, a free site at the base of the biggest of the rock formations in the area. Complete with campfire rings and large trees, you'll enjoy the view from any of these established camping spots. Where to explore: This spot is less than an hour west of Taos, NM, the area famous for its art and writing. Swing by town, catch the view of the canyon from the Rio Grande Gorge Bridge, check out the art galleries, and grab a beer at the Taos Mesa Brewing, where there's often live music, dancing, and other types of performance. 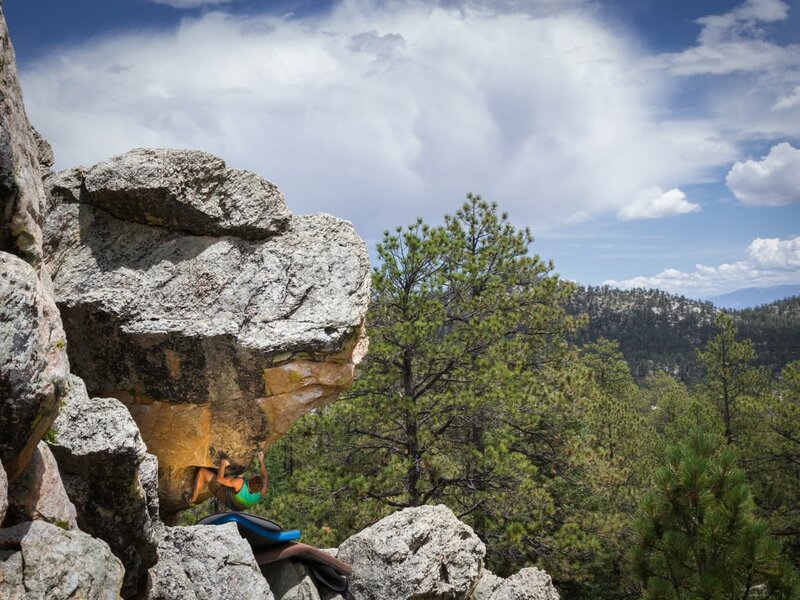 If you're bouldering in the dead of summer, this is your destination. What Summerscales describes as, a "blissful forested outcrop of schist" sits on the Jarita Mesa in the Carson National Forest. Because its elevation is about 9,000 feet, the area is significantly cooler than other parts of New Mexico—even in July and August. 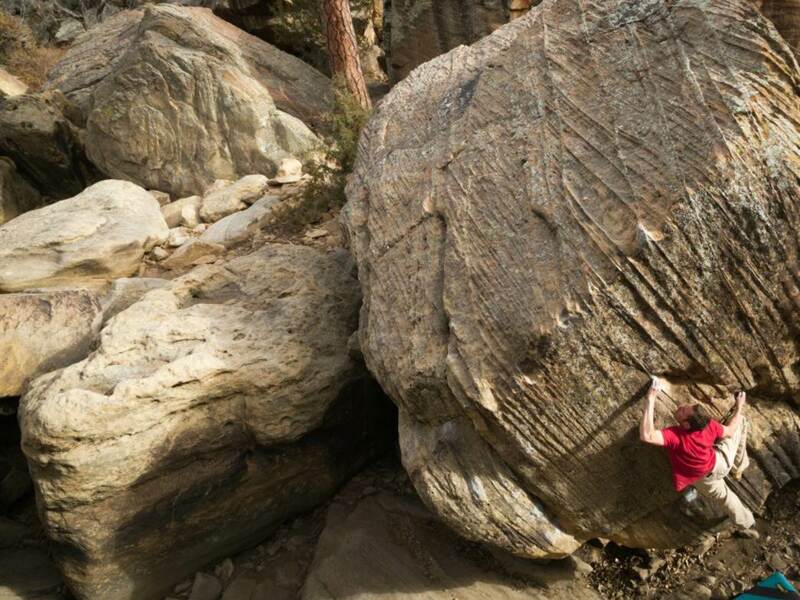 "It's a great place to escape the heat and crank on some crimpy problems," he says. Where to camp: Primitive free campsites are available 18 miles northwest of the climbing area at the Trout Lake Campground. The area is usually crowd-free. Although there are no established picnic tables or grills, there is a vault toilet on the premises. Where to explore: If you stay at Trout Lake, take advantage of some prime fishing in one of the three lakes within hiking distance. If you're visiting in the fall, check out the golden aspen trees that flood the area with color during peak leaf months. If adventure is what you look for in a bouldering trip, says Summerscales, this is the place for you. Ortega West is northeast of El Rito and is packed with an endless number of quartzite cliff bands and boulders. Forget the plan; this is a the place to explore and stumble on a gem. But, Summerscales cautions, you will need 4 wheel drive and some solid navigation skills to reach the bouldering. Where to camp: Stay in Trout Lake, as you would if you were bouldering in Posos, or head to Orilla Verde Area of the Rio Grande Gorge for a site complete with drinking water, fire rings, a boat ramp, and restrooms. Where to explore: While you're in the area, explore Carson National Forest. The wilderness area includes 1.5 million acres of fishing, camping, and hiking. Plus, with some of the best mountain views in the state, you'll never want to leave. If you search for Roy, you'll be hard stretched to find any specific problems online. 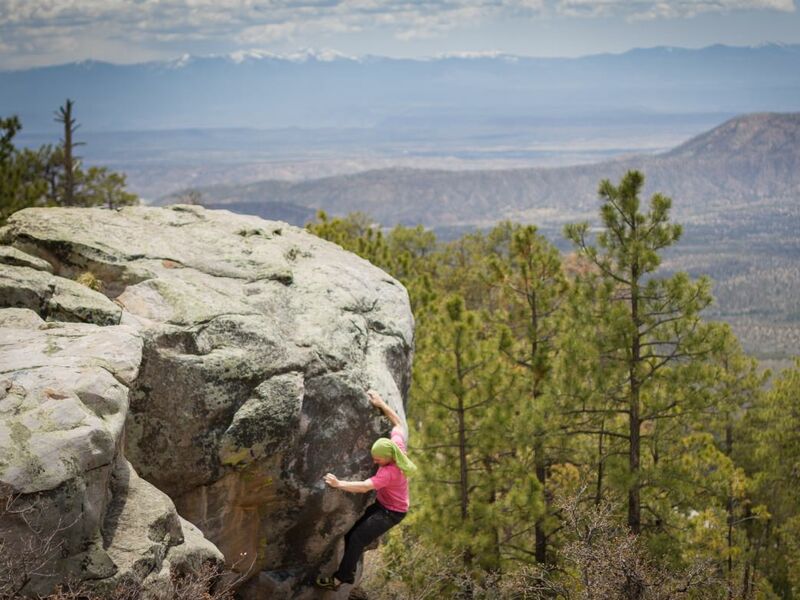 For decades, information about bouldering in Roy, NM, has been by word of mouth, and it offers what Summerscales calls the best bouldering in the state. Hundreds of problems set on ergonomically-shaped Dakota sandstone boulders scatter the Canadian River drainage. "A lifetime of world-class climbing exists out here," he says. Where to camp: All the camping near Roy is primitive. 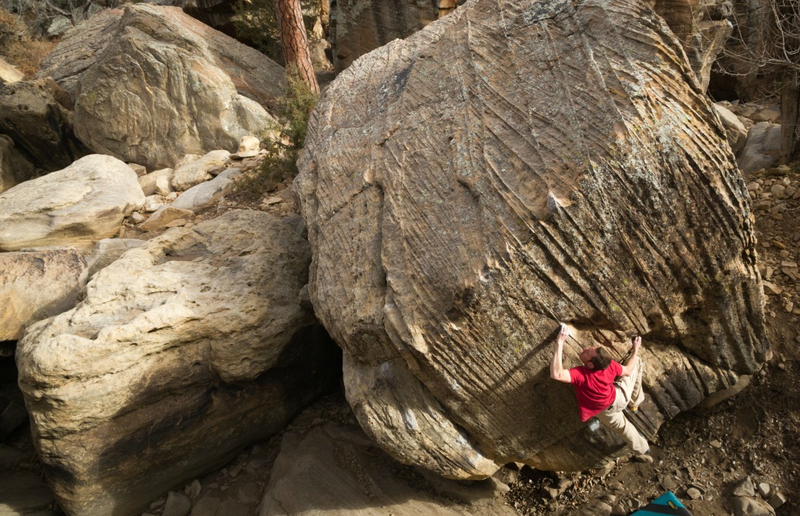 There are many areas overlooking some of the best boulders, but depending on the time of year, they can get crowded. If you head 12 miles outside of town to Mills Canyon Campground, you'll find fire rings, picnic tables, and nearby restrooms. Where to explore: While you're in the area, scope out Kiowa National Grassland, 136,000 acres of open prairies, hiking, and big skies. Keep an eye out for the wild pronghorn antelope that are native to the area. 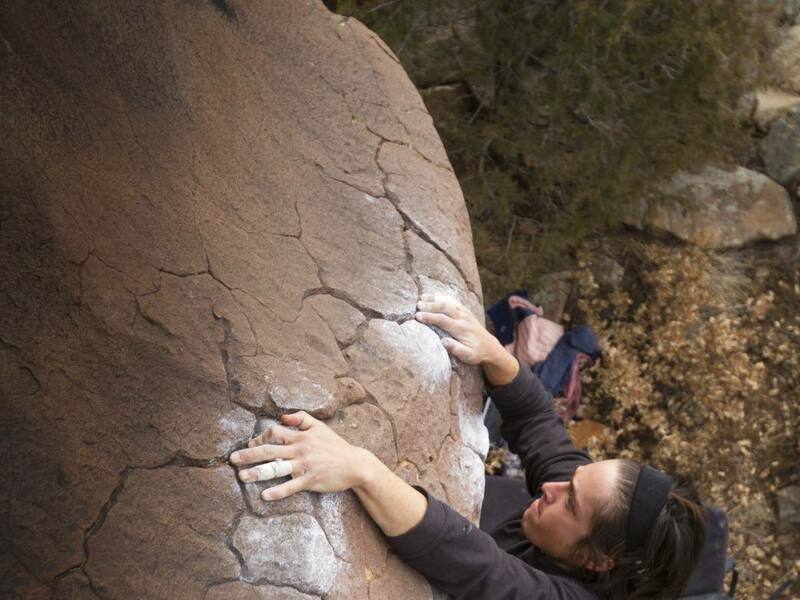 For beta on specific problems and more areas to boulder in New Mexico, grab a copy of 'New Mexico Bouldering' by Owen Summerscales.